Professor Marston and the Wonder Women tells the story of how an iconic comic book character was brought to life, and now a teaser trailer for the film has given the creators’ origin story the comic sans font it deserves. 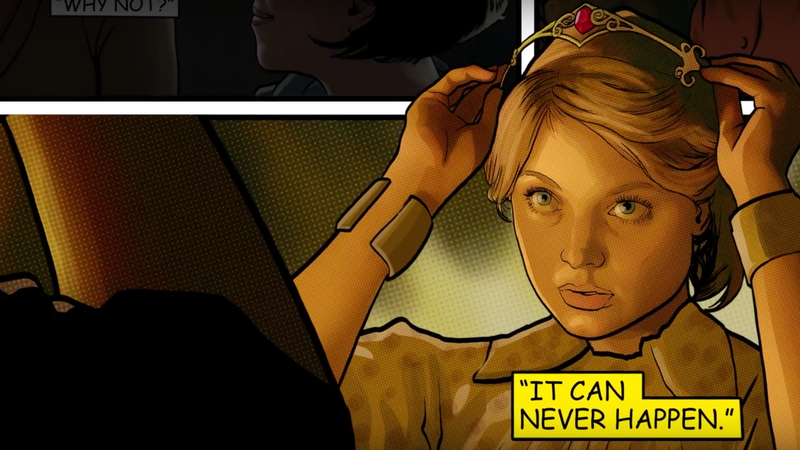 Annapurna has released a stylized trailer that shows the story of Professor Marston and the Wonder Women as a moving comic book. It’s the same footage we saw in a previous trailer, but the look and style is completely different, weaving the story and characters through the pages. It looks really good, and I actually would have liked to see some of the movie done in this style, showing how the lines between fiction and reality were blurred as Marston and Elizabeth’s kink lifestyle inspired the creation of Wonder Woman. The film comes out October 13, and you can watch the latest teaser trailer below.